There is a certain quaint and mysterious about the geishas of Japan. They are like the glistening moon in the heavens; they contain a flicker of enigma that is never really understood by all. Their mystifying presence invokes nostalgia from the traditional era of Japan. There had been a lot of misconceptions about geishas, especially among non-Japanese folks. Geishas are highly skilled entertainers that usually appear during formal gatherings like dinners and other high-end events. Despite the rumors and the pop culture portrayal, gesihas are not women who offer their bodies in exchange for fee. These ladies have trained for years and perfected their art of entertaining an audience. If you are interested in actually witnessing a geisha perform, look no further! Kyoto is the place to be! Kyoto is considered to be the center of Japan’s geisha world. Young ladies between the ages 15-20 are rigorously trained for 5 years to master the art of entertaining others. They live in a house called okiya. During the period of training, a geisha is called a maiko. On the other hand, a geiko is the fully realized geisha. Geikos usually wear elaborately designed kimono. Also, their kimonos are long-sleeved and more vibrant. Plus, they wear extravagant hairpins. While maikos wear simpler kimonos and austere accessories. Needless to say, a night with a geisha can be a quite expensive. And even if you have the monetary requirement, you cannot just request for a geisha to keep you entertained for the evening. Before you can actually request for a geisha, you need to be referred first by an existing client. There are travel agencies in Tokyo that can help you with the referral. When you have successfully requested a geisha, you will be treated to a night of entertainment and company. You can converse with geisha and have fun playing drinking games with them. Aside from getting one on one entertainment from geishas, you can also view their performances in different events. 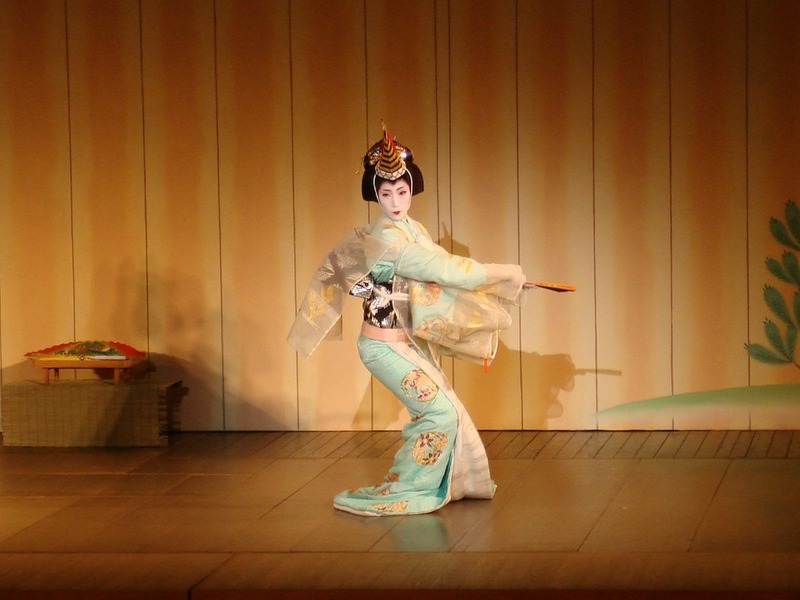 Kyoto hosts the five annual geisha dances, held during fall and spring. You can find tickets in hotels and ryokans. Here are some of the popular performances to take note of: Miyako Odari (April), Kyo Odori (third Sunday of April), Kitano Odori (15 and 25 of April), Kamogawa Odori (held daily between 1 and 24 May), and Gion Odori (held daily between 1 and 10 November). If you are cannot afford a night with geisha or unable to see their dance performances, you can still spot some geishas on the streets of Kyoto. The best place to see them is at Hanami-koji-dori in Gion. The best time to see them is at dusk or early evening. But be very, very considerate of the geishas. They are always in a hurry to meet clients so they cannot stop for photo op. You can also try to look a geisha! There are also places in Kyoto called maiko henshin that can transform you to a geisha. There are also a lot of traditional Japanese props that geishas use to fully be one in their attire. Check them out as well!